Being a PlayStation 4 aficionado definitely means trying all the coolest features offered by Sony’s PS4 so far. There is no doubt about the fact that PS4 offers one of the best gaming experience to its users. From playing the exclusive games on PS4 to indulging in the world of PlayStation VR to experiencing the best streaming services, PS4 has never disappointed. Interestingly, the new inventions in the field of technology never cease to amaze us. Speaking of, PS4 Remote Play seems like a perfect example in this case. Remote Play is one of the incredible features introduced by PS4 that allows users to play console PS4 games through their PS4 Vita or any other compatible device. 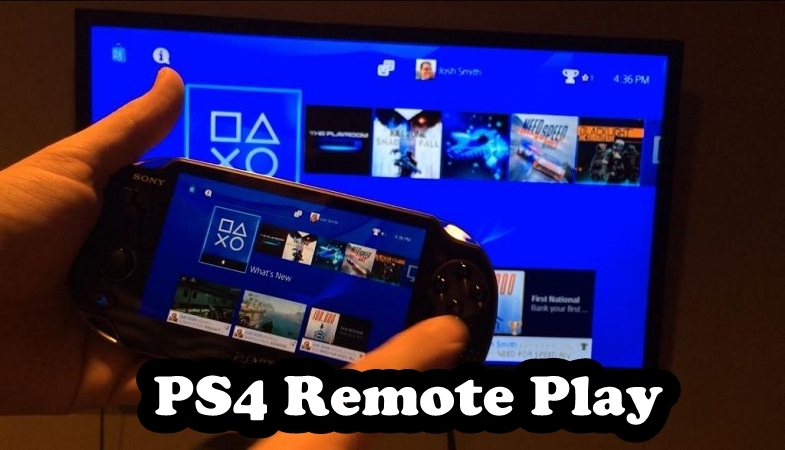 Apart from owning a PS4, if you have PS4 Vita, PS TV, Mac, Windows PC, or a Sony Xperia device (smartphone or tablet) lying around somewhere in the house, believe it or not, you can have access to Remote Play. As the name suggests, this incredible feature – Remote Play – allows you to play your most favorite PS4 games remotely via your Vita, PS TV, laptop, desktop computer, or select Sony Xperia devices. How exciting does it sound! This feature works really well for the gamers who’d like to remotely play their favorite games on different devices without requiring a TV. They can stay in bed and play PS4 games on their laptop or mobile device for as long as they like. Apart from the above-mentioned devices, the feature does not work on any other device so far. The first step requires you to enable Remote Play on your PS4. Switch on your PS4 console and then navigate to Settings > Remote Play Connection Settings. You need to make sure the box beside Enable Remote Play has been marked as a check. In the second step, you need to make sure your PS4 has been activated as the primary PS4 on your PlayStation Network. To do so, simply head to Settings > PlayStation Network/Account Management > Activate as Your Primary PS4, and then lastly select Activate. Last but not the least, if you want to turn on and access PS4 Remote Play even though your PS4 is in the rest mode, you just need to head to the Settings > Power Save Settings > Set Features Available in Rest Mode. Once you get there, you need to make sure the two boxes next to Stay Connected to the Internet and Enable Turning on PS4 from Network have been both marked as a check. Once you’re done with setting up the Remote Play feature, it’s time for you to move on towards configuring the Remote Play feature with your PS Vita. The process of streaming PS4 games using Vita is really simple and straightforward and does not entail many complications. However, it does require some basic setup and configuration steps. For your ease, we have put together this easy guide for gamers who would love to take advantage of Remote Play and stream their favorite PS4 games remotely while using Vita or another compatible device as mentioned above. First of all, switch on your PlayStation Vita or other compatible device and check if it is updated to the latest firmware. You can update to the latest firmware only if it’s necessary otherwise you may skip this step. Secondly, connect the Vita to the PlayStation Network. Thirdly, tap the PS4 Link button on your Vita and then wait for the system to search for any PS4 present on the network. In case your PS4 is in the rest mode, it will automatically turn on without you doing anything. You also have a choice to connect your Vita to the PS4 over the internet if the consoles are connected to two separate network connections. However, you will need to sync the both devices in order to carry out the process successfully. After the process is completed, the consoles will be synced together and you can enjoy your PS4 games remotely using Vita. The above guide tells you how you can use PS4 Remote Play on your PS Vita. The same process can be followed if you wish to use the Remote Play feature on another compatible device. Sony’s concept of interconnecting their devices has really impressed us but we still wish if the same functionality could extend to other devices as well. Well, we never know what the brains behind the company are working on. Who knows Sony’s PS4 might come up with more incredible features and also allow the Remote Play feature to work seamlessly on other non-Sony devices. Let’s just wait and watch! How to Run PlayStation Games on Your PC Via PS4 Emulator? Do Wars Drive Technological Advancements?